If you have any plumbing issues at all, contact the expert plumbers at Douglas Orr Plumbing, Inc. They can handle all your repairs, installation, and maintenance. Backed by over four decades of in-depth work experience, you can trust that they have the knowledge and skill set to resolve your Miami plumbing problems in a timely and professional manner. They understand how important it is to have a fully functioning plumbing system for your home or place of business, which is why they will work diligently to resolve your issue as quickly as possible. However, you can also be sure that your job will be done properly and thoroughly, with no related residual issues. This is because they are meticulous in all the work that they do and never cut corners. 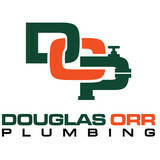 Their plumbers all undergo intense training and internship programs when they are first hired and that training continues all throughout their employment with Douglas Orr Plumbing. This is in order to ensure that their plumbing technicians are consistently updated about the newest developments in the world of plumbing and that they are always providing the highest quality of care possible. They are committed to providing quality plumbing at affordable prices. Plumbing Works Synonymous with Perfection Excellence in the work we take up, completing projects to the satisfaction of our clients on time and delivering topnotch standards Dave 21 plumbing teams are the best team of plumbers eager to providing you the service you are looking for. 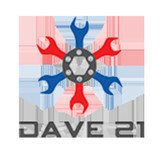 At Dave 21 Plumbing we offer a range of services at competitive rates. Understanding the power of every work we take up. Dave 21 has over 20 years with years of trusted service and track record of satisfied clients which keeps on recommending our service. Serving the areas of Broward County, Palm Beach County, and Miami-Dade County.Plumbing repair services for home and business we offer include Water leak Reliable services for residential, commercial and emergency plumbing services are offered on all days of the week with no additional charged for overtime work. We understand the importance of water leak and taking the right steps to prevent loss of it even for a few minutes, can and will prevent extensive damage. Clogged drains Repairing and maintaining these systems without mess in minimal time with the expertise of the team the right means while keeping it economical, dependable and safe. Standard and tank less Water heaters Repair and replacement of any size of electrical water heaters. There are many issues surrounding water heaters that prevent them from working the proper way. With identifying the work needed and implementing the newest standards we know we can fix the problem and help you stay with hot water. Backflow testing and certification services State and local regulations are well-considered while providing these services. With certified plumbers who are licensed, trained and have enough experience to ensure 100% satisfaction, installation, repair work and maintenance are their fortes which allow one to enjoy the benefits of potable water without any apprehensions. Recirculating pump and pump systems Chilling climate is never a deterrent to have a quick shower or enjoy the benefits of hot water flowing freely through the faucets. From designing and installing the right systems that prevent wastage of water, providing hot-water and affixing it without any issues to offering the best tips to minimize precious water consumption, the team here manages everything excellently. A PLUMBING COMPANY THAT SPECIALIZES IN SERVICING HIGH END CLIENTS WITH CUSTOM PLUMBING SYSTEMS. 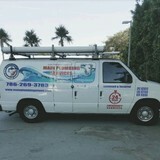 Main Plumbing Services is a family owned business located in Miami, FL, that services Miami Dade County, Miami Beach, Brickell, Sunny Isles, Coral Gables, Kendall and all major areas in South Florida. We specialize in Plumbing Services such as General Plumbing repair, Emergency plumbing Services, Drain Cleaning Services, Sewer Line Repair and Replacement, Camera Inspection, Leak Detection, Hydro Jetting Services, Pipe Installation, Plumbing Fixture Installation, Water Heater Installation, Tankless Water Heater installation and more... If you are looking for a Plumbing Company that offers great reliable service , Main Plumbing Services is the smart choice. Welcome to Art Plumbing & Air Conditioning! We are South Florida’s leading plumbing, heating and air conditioning service company and your source for all of your plumbing, drain cleaning, water treatment, air conditioning and indoor air quality needs. We sell, service, repair and install plumbing, heating and air conditioning systems throughout all of South Florida, for both residential and commercial properties. All our services are backed by our award winning team of Coral Springs plumber and HVAC professionals. Our rigorous hiring standards assure you of having the most trusted and dependable service professionals entering your home and business. 100% Satisfaction Guaranteed! Keep your plumbing systems running smoothly with help from the experts at Pro Bowl Plumbing Inc. We provide homeowners and businesses in Coral Springs and the surrounding communities with cost-effective plumbing solutions, including faucet repair, dishwasher installation and tub replacement. Count on our professional plumbers to help resolve your plumbing issues quickly and efficiently. Call Pro Bowl Plumbing Inc at (954) 526-9590 today for a free estimate and receive a free LED flashlight! Make us your number one source for all your plumbing needs. When you want to remodel your bathroom or need your hot water heater repaired, you can rest assured that you'll get prompt and reliable service with our team. Call us today for superior plumbing repairs, dishwasher installation and more! 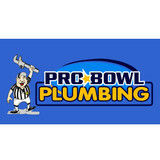 Pro Bowl Plumbing Inc: Plumbing problems fixed for over 33 years. Our business is our livelihood but it is also so much more. Della Rossa Plumbing & Solar LLC was started to fill in a void in the current market and to make a business that the people of Broward County and surrounding areas can place their trust in. Over the years we have never lost our commitment to our clients and that is what has allowed us to succeed in a very competitive industry. We stand committed to our purpose as we stand committed to the people of Broward County and surrounding areas. Providing affordable AC Repair and Plumbing in Ft Lauderdale, Boca Raton and Miami Area. We design,service and install air conditioning, plumbing and solar systems.Call TEMPERATURE SYSTEMS INC for a FREE ESTIMATE Today! - (954) 370-7436"
Paradise Service Technologies is a full service plumbing and air conditioning company with emphasis on the personal service we provide to our customers. We take pride in doing professional work at reasonable rates. We are located in the Ft. Lauderdale area, and have been in business since 1987. We service calls to most counties in the south Florida area. We specialize in complete residential, commercial, and industrial services and perform residential and commercial service plumbing and air conditioning work. Cohen Plumbing, Inc. is Family Owned & Operated & is located in Boca Raton, Florida. We are fully licensed and insured, making us the perfect choice for fast, professional service. Able Plumbing is your local, complete service plumbing contractor located in Palm Beach County, Florida. Able Plumbing has been family owned and locally operated since 1980. From our humble beginnings as Ken and Rowland Wood, we walked door to door handing out flyers and here we are 27 years later. Even though Rowland has retired, Ken has kept the business going from day one. Now, Danny and Krissy, the son & daughter of Ken, are following in his footsteps. This 3rd generation of plumbers is carrying on the family tradition. We also pride ourselves on our competitive prices, reliable and courteous service. At Able Plumbing, our professional, highly trained and experienced service department is known for its quality repair service, remodeling and new construction work. Our office staff is friendly, efficient and standing by to assist you when you call. All work is guaranteed to 100% satisfaction and we look forward to serving you in the future. Find everything you're looking for and more with affordable, quality workmanship! You'll discover timely repairs and beautiful designs for your newest remodeling project. Get the work you want done today. Call the Potty Doctor now! Although Potty Doctor is a FULL SERVICE plumbing company with services ranging from sewer line and drain cleaning, video pipeline inspection and locating, bathroom remodeling, solar and tankless water heating, leak locating and repair and new construction, our name implies we specialize in repair and replacement of plumbing fixtures (yes, potties), sinks, faucets and re-piping. Potty Doctor has been an active part of our community since 1943 when our founder started a little plumbing repair shop in Lake Worth Florida. Three generations of plumbing professionals have followed with an eye for detail and quality surpassed by none other in our area. We are committed to FAST Service, affordable prices and quality workmanship with all work and satisfaction guaranteed. We operate on a "flat rate" system so you know the price up-front. No surprises. A plumbing contractor handles the installation and repair of water, sewage and natural gas pipes throughout a home, as well as interior and exterior faucets and fixtures. Plumbing contractors are also trained to work with water mains, septic tanks, laundry appliances, water heaters, sump pumps and other plumbing and pipe systems. Because plumbing repair work is done largely behind walls and beneath floors, some plumbing companies can also patch or replace tile, stonework and other surfaces. Although some Miami plumbers are generalists, others specialize in specific areas; a 24 hour emergency plumber will handle urgent residential repairs, while others may be more skilled in remodeling, natural gas lines, overhead sprinkler systems and more. 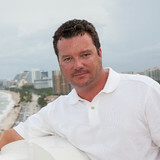 Find a local Miami plumber on Houzz. Narrow your search in the Professionals section of the website to plumbing contractors in Miami, FL. You may also look through photos of Miami, FL projects to find a licensed plumber who has worked on a project similar to yours. Here are some related professionals and vendors to complement the work of plumbers: General Contractors, Septic Tanks & Systems, Kitchen & Bath Designers, Kitchen & Bath Remodelers.